Didn't you guys ever go to Sunday School? “It shows a panoramic view of a cavernous banqueting room with columns to either side decorated with signs of the zodiac. The hall is filled with crowds of feasting Babylonians, and open to the sky, with the Hanging Gardens of Babylon above, and the Tower of Babel and a ziggurat visible in the background, lit by the moon revealed by a break in dark swirling clouds. The architecture is inspired by Egyptian, Babylonian and Indian styles. Dressed in black, Daniel stands at the centre of the foreground, interpreting the supernatural writing on the wall of the hall. Belshazzar recoils in astonishment and dread to his right, and others look on in shock and horror." The grave of Austrian rock singer Falco (“Rock me Amadeus”) is a tour-de-force of bombast or tastelessness, you choose. Siskel and Ebert’s original This Is Spinal Tap review. Looks, in camera adjustable image parameters for Knee, Gamma, Saturation & other, Focus and exposure control tools. The Entry Level is the iPhone C of AMIRA… destined to be completely outsold by its bigger brothers by multiples. How many people making this kind of commitment would balk at spending the extra $5K to get 200 fps, Pre-Record and the other goodies? For our current documentary, we’ve been shooting ProRes 4444 on the base ALEXA. So AMIRA truly will be a more compelling, less expensive option for us. My wife makes documentaries. Back when we were first starting amplifier, Laura was our first real client. She and I were “just friends” but I’d worked extensively on the DVD for her film GREEN. Anyway, in June 2001, she won a Student Academy Award for GREEN and invited me to attend the ceremony with her. Celebrities actually present the awards, that year Kathy Bates and Randy Quaid actually presented. And when most every other student winner was knock-kneed and breathlessly “thanking the Academy”… my baby decided in true Academy Award fashion to throw down a political speech. I just recently found a Quicktime movie of the event on my hard drive… Could… not… resist… sharing. Sorry for this babe, but you ROCK. Took a Thanksgiving walk down to the Greenbelt. Flowing with cool clear water. Thankful to live here. Astronaut Buzz Aldrin’s son photographed as his father rocketed towards the moon. (July 20, 1969.) According to Corbis’ caption, his family was inside listening to radio updates on the mission. A moment made beautiful by the story’s happy ending. An entirely new and completely graphic specialty shopping center named Shopping IN has opened on the Internet. Shopping IN is the most graphic, user-friendly shopping source on the Net. Over three hundred specialty items from athletic wear, men’s & women’s apparel, tabletop accessories and gifts are presented with large, digitally enhanced color images. Kyle Cooper’s full presentation to audience at OFFSET. Must watch for designers, SFX and film fans. Around 19:20, Cooper tantalizingly drops that he has a few possible feature films in development. Around 35:30, talks about difficulties of having a “second tier” of employees. “I try to HIRE the people I admire. The people that I trust it’s great to see what they do… The challenge is that there’s sort of a a second tier of people… and getting them to do something that I think is good… because I’ve gone out and made a promise to somebody, so I can’t go out and say to a director, ‘Don’t worry, I get it, we’ll figure this out’ and then have to rely upon people that I… can’t get them to do what I think is the solution – not even what I want – but what is the solution… getting them to listen. " Lady Bird Lake. Scull on. Fab.com also claims that statements JustFab made to the USPTO while applying to register “Just Fab” as a trademark invalidate its current claim that “Fab” and “Just Fab” are easily confused. The USPTO initially refused to register the “Just Fab” mark because it said it would be confused with the mark Fab, which was registered in 2006 by a swimwear and lingerie company called Fab Product Designs that is unrelated to Fab.com or JustFab. In response, JustFab (then called Just Fabulous) argued that “Just Fab” and “Fab” were unlikely to be confused. Inventor Edwin Armstrong, dancing on top of a radio tower before the opening of radio station WJZ NY. Armstrong’s performance was part of his courtship of Marion MacInnis. At the time, MacInnis was the secretary of RCA Executive (and future CEO) David Sarnoff. Incidentally, Sarnoff was apparently infuriated. 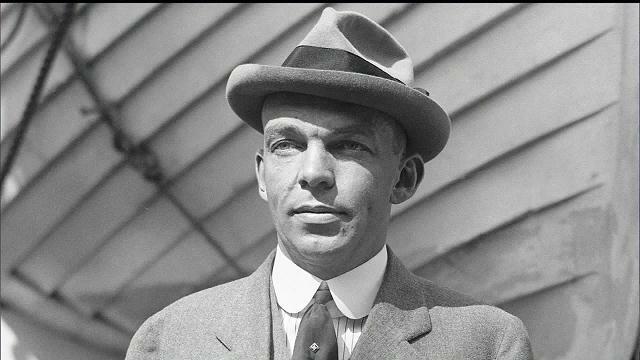 He banned Armstrong from future access, despite his imminence as a both an inventor and the largest single shareholder of RCA stocks. 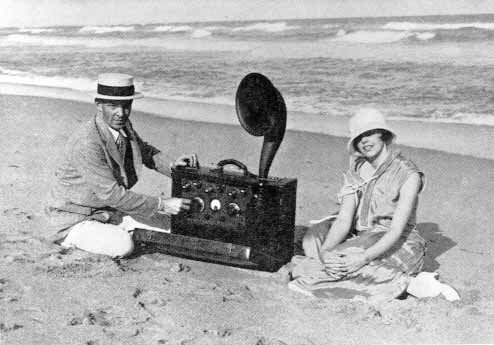 Upon winning her hand in marriage, Armstrong then gave his wife the world’s first “portable radio” as a wedding gift. Future inventors when it comes to courtship, THAT is how it’s done. It is a long time since I have attended a gathering of the scientific world - a world in which I am at home - one in which men deal with realities and where truth is, in fact, the goal. For the past ten years I have been in exile from this world and an explorer in another - a world where men substitute words for realities and then talk about the words. Truth in that world seems merely to be the avowed object. Now I undertook to reconcile the objects of these two worlds and for a time I believed that could be accomplished. Perhaps I still believe it - or perhaps it is all a dream. Inventor of regeneration and FM radio, addressing to the annual convention of the Institute of Radio Engineers, Philadelphia, U.S.A., May 29, 1934. Stunning flood photo/video from Austin. The feet on Stevie Ray Vaughn’s statue are usually, what, 5 feet above the water line? Many more photos here, along with this video from Barton Springs.